If you are using AMD graphics card for your computer, you probably have AMD Catalyst Control Center application. It’s coming with the display drivers. You may use it to manage your display settings, display profiles and video performance, etc. Today when you want to open this application, it doesn’t succeed to open as usual. Instead, you’re seeing this error saying: AMD Catalyst Control Center cannot be started. There are currently no settings that can be configured using AMD Catalyst Control Center. It’s a real pain. But it’s not a big trouble and you can fix it quickly and easily. This error occurs mainly causing by the old, corrupted or missing AMD graphics card driver. So you can fix it through reinstalling your AMD graphics card driver by the following instructions. 1) On your keyboard, press the Windows logo key + R (at the same time) to invoke the Run box. 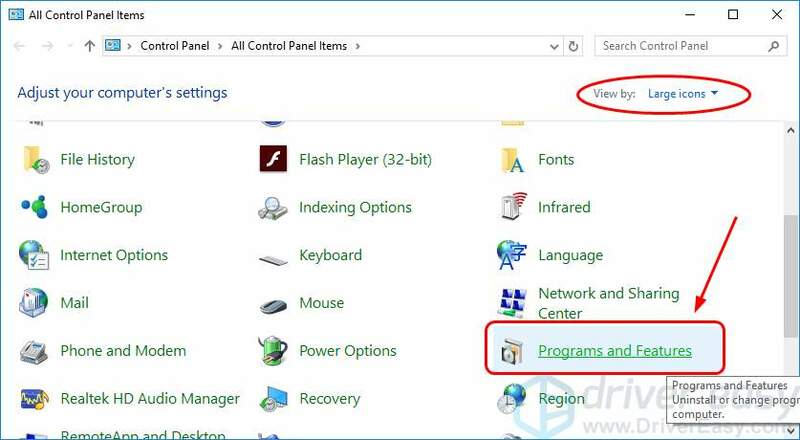 3) Click Programs and features under the Large icons. 3) Find and click AMD Catalyst Install Manager. Then click Change or Uninstall icon. 4) Follow the on-screen instructions to complete the uninstall. After it’s done, make sure there’s no AMD entries in Programs and features window now. 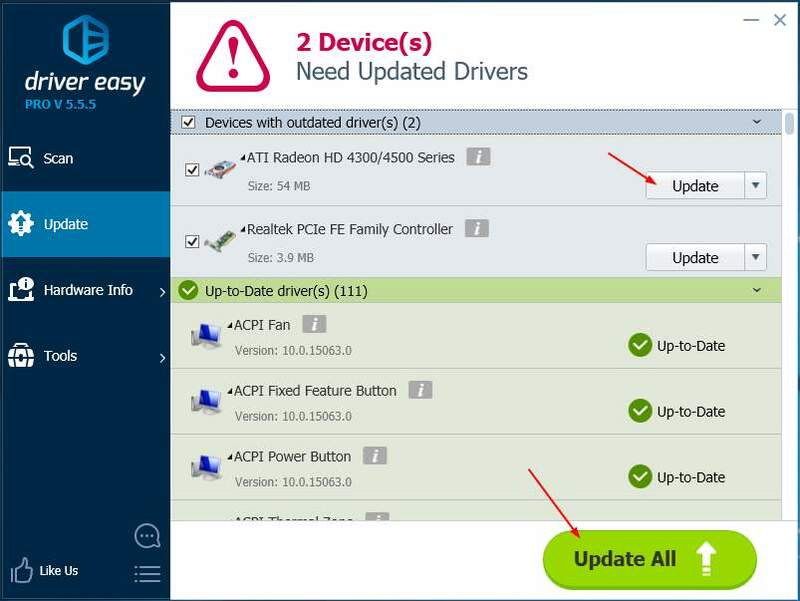 You can update your AMD graphics card driver either manually or automatically. Manually – Go to your AMD official website, then search for the most recent correct driver for your graphics card. 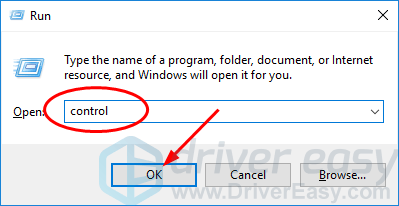 Be sure to choose only driver that is compatible with your Windows. 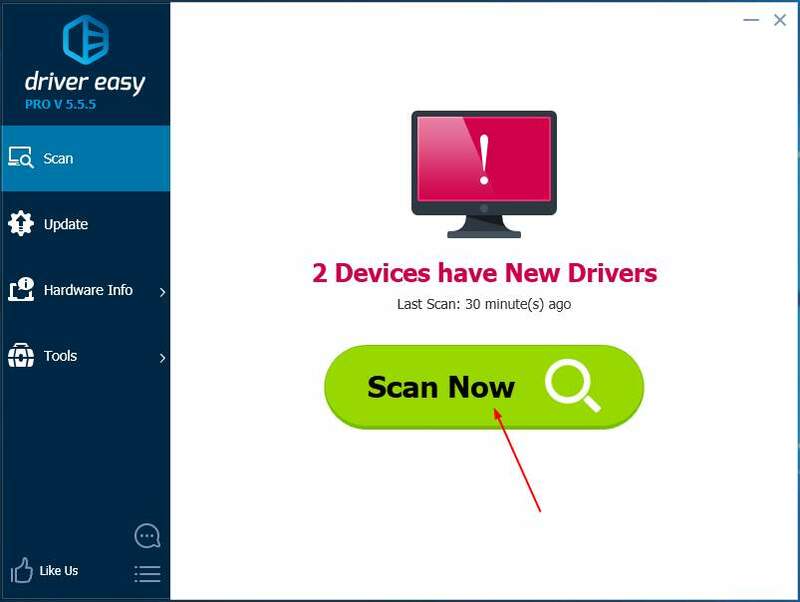 3) If you try the Free version: Click the Update button next to the flagged display driver to automatically download and install the correct version of that driver. 4) Restart your computer, and the new AMD Catalyst Control Center would be on your computer. Click it to see if it can be started properly.